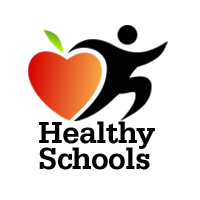 Creating Healthy Schools and Communities is a five-year (2015-2020) public health initiative to reduce major risk factors of obesity, diabetes, and other chronic diseases in 85 high-need school districts and associated communities statewide. This program is funded by the New York State Department of Health (NYSDOH) to implement multi-component evidence-based policies, place-based strategies, and promising practices to increase demand for and access to healthy, affordable foods and opportunities for daily physical activity for all New Yorkers. Western Suffolk BOCES Student Support Services Center (SSSC) is one of the 25 grantees and is collaborating with Sustainable Long Island and Stony Brook Medicine on this initiative. 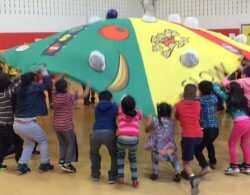 Together we will work with school districts, community merchants, worksites and local leaders in order to create environments that will shape and sustain positive attitudes and behaviors about foods and physical activity. The Obesity Prevention Center for Excellence (OPCE), led by JSI Research & Training Institute, Inc., strengthens the initiative’s collective impact by providing technical assistance, training, resources, and a network to collaborate. JSI and its partners (Alliance for a Healthier Generation, PedNet, University of Rochester, and Sasaki Associates) support the 25 grantees and their partners in this initiative. 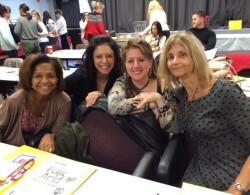 Revise, implement, and assess local wellness policies to improve the school environment. Establish Comprehensive School Physical Activity Programs. Increase access to healthy, affordable foods and increase school districts’ ability to meet federal Healthy, Hunger-Free Kids Act of 2010 nutrition standards for foods sold outside of school meals. Increase access to healthy, affordable foods in communities. Increase adoption and use of food standards and procurement policies that increase healthy foods in community sites and settings. Adopt and implement Complete Streets policies, plans, and practices to increase opportunities to walk, bike, and roll.